The complete Cosmetology Hairstyling course consists of 1200 clock hours as prescribed by the New Jersey State Board of Cosmetology and Hairstyling. The educational objective of the complete Cosmetology Hairstyling curriculum is to provide the student with training sufficient to pass the state board exam, to become properly licensed, and to perform all duties required under such license to secure employment at an entry level. Classes begin on the first Monday of every month unless otherwise scheduled. Successful completion of the course qualifies you to take the NJ State Board Exams. Upon passing both portions of the Boards you will receive your License. Full transfer credit may be allowed for previous training, subject to the regulations of the New Jersey State Board. During the first 600 hours, your time is spent in classroom work consisting of lecture, demonstrations, practice on mannequins and evaluations. Upon completion of 600 hours, all assigned work, a doctor’s certification, and upon recommendation of your instructor, you will advance to the senior class and be permitted to practice on clients. All of your remaining time will be spent on practical work, additional advancement lectures, class projects and complete subject reviews, as well as salon management techniques. 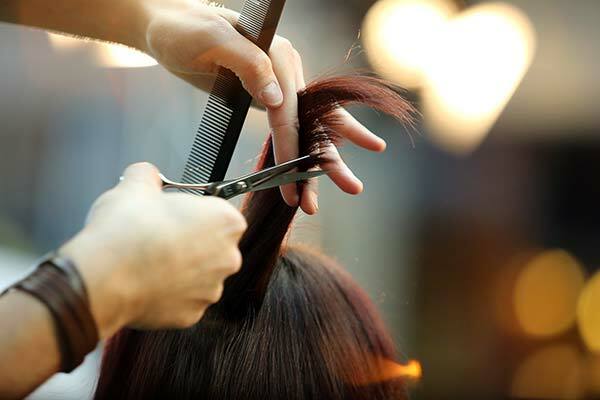 Obtaining a Cosmetology Hairstyling license allows an individual to practice all phases of Cosmetology Hairstyling including manicures, pedicures, skin care, barbering, depilatory service, and make-up application.